Got back from Austin, TX last night. Just a quick trip to visit my friend Julia - she and her husband just moved there from NYC. It was WAY too short a visit - next time we'll stay longer for sure if we can. It wasn't my first time in Austin - but the last two times I went didn't count. The first time I was only one - went to visit my Godmother (and her daughter - my namesake - Kristen). The second was a few years ago when my Godmother died. So I didn't really get to experience Austin per se. What a fabulous town! And hell - The BBQ and the Alamo Drafthouse are reasons enough to want to move there immediately. 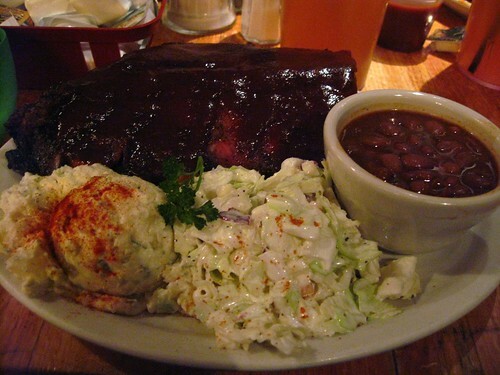 Let's look at some pictures of BBQ, shall we? County Line was the best BBQ I've ever had (I do prefer Texas wet style FYI) - but I'm lucky - at least I have access to Phillips BBQ here in LA. 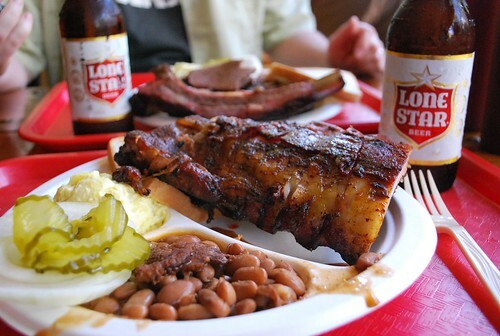 What's the best BBQ you've ever had - and what style do you prefer? Kansas City? North Carolina? Texas? County Line ships - maybe I'll skip Thanksgiving dinner and just air some ribs in for me and Vinny.